It is a moral defense of the efforts in Iraq, presented in the context of mainstream fiction. It is also a justification of faith as represented in my main narrative charcter, a young graduate student named Jon Anthony. A perspective for conservatives and traditionalists. A doctoral candidate in Theological Studies accepts recruitment by a friend in the U.S. State Department for an initiative to the most troublesome province in 2006 Iraq. Traveling overseas as a consultant, he knows nothing of the political and cultural difficulties that are to be faced. The many challenges of nation building expand the mission from diplomacy to a survival situation as local and international interests position themselves to oppose a State Department initiative: one vital to progress in an uncertain theater. Terrorism and counter-terror operations threaten to keep the team from leaving the relative safety of Baghdad. Until, that is, a former USAF Special Tactics operative hunting the men who want to kill them draws duty as their protector. The simple questions posed during a tribal council threaten provincial and regional stability; the conclusions reached explode into a clash of faith, loyalty, schism and betrayal that will help shape the future of two nations. 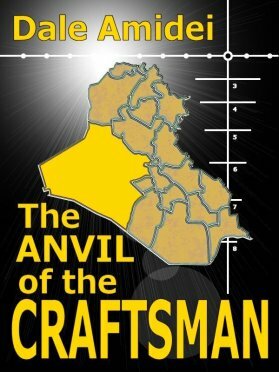 The Anvil of the Craftsman, the debut novel by author Dale Amidei, will be appreciated by fans of a broad range of fiction. From aficionados of the haunting themes of Ernest Hemingway to readers of the tightly woven plots of Tom Clancy and popular titles of authors like Vince Flynn, David Baldacci, W.E.B. Griffin and Richard Marcinko." I live and write in the beautiful Texas Hill Country near San Antonio. My fiction defines the inner spiritual processes that I believe occur naturally in all human beings. It features faith-based themes set in the real world, which can be violent. My characters sometimes use profanity. "A novel begins with having something to say. Everything that comes next, developing the characters, the plot, the first draft, the editing, the polishing, all follow this. First have something to say, and then start writing." The standard description follows. More information is available on my website at www.daleamidei.com I would be happy to provide an electronic copy (PDF, .mobi or .epub) or answer any further questions. Now available for e-readers at Amazon and Smashwords, with an Amazon paperback coming mid-December 2011.